First Consult (FC) is a point of care resource that summarizes other sources of evidence. "Information is based on multiple sources including, but not limited to, respected textbooks, peer-reviewed articles, evidence databases, drug alerts, practice guidelines, and position papers reviewed and edited by opinion leaders in clinical practice." FirstConsult is being replaced by Clinical Overviews. During the publishers transition to this new format and content, you will see both product names listed. "Clinical Overviews are easy-to-scan, clinically focused medical topic summaries designed to match the clinician workflow. 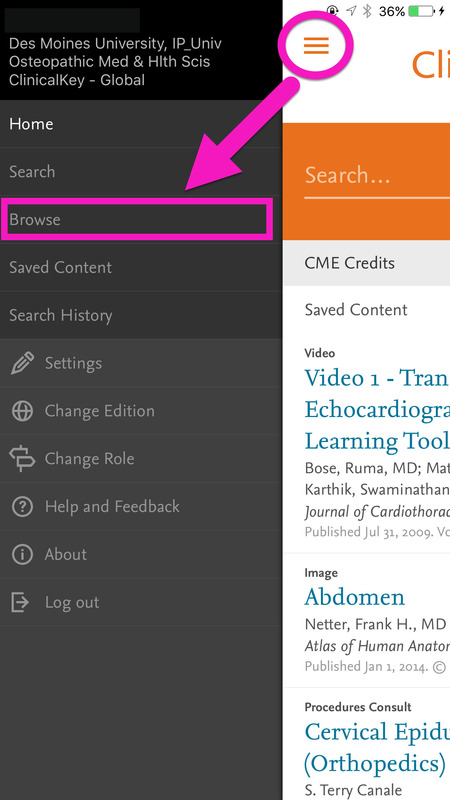 They will replace the most frequently searched and used First Consult topics on ClinicalKey." 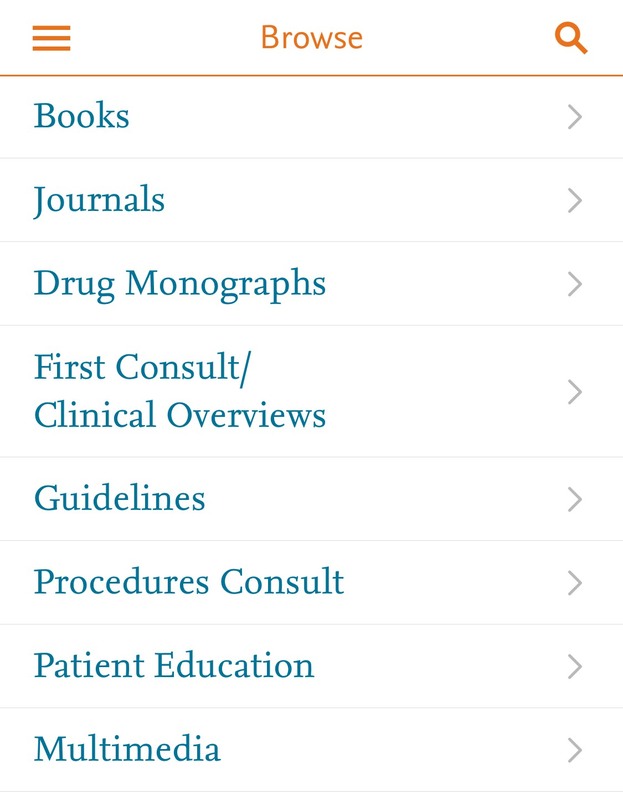 FirstConsult is part of ClinicalKey and you can access this resource from your mobile device anytime using the links to ClinicalKey from the library or from within the ClinicalKey app. Looking for specific types of information in the app or mobile friendly version, like FirstConsult, Procedures Consult or images? You can filter your results after a search or you can pre-select the content you wish to use up front. 1. Click on the three lines (menu bar). Select Browse. 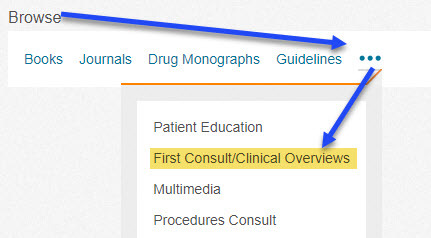 You can now select the section of Clinical you wish to focus on - FirstConsult/Clinical Overviews, drug monographs, surgical videos, etc.